Let’s have a pop quiz. If you have to continue the sequence: 0, 1, 1, 2, 3, 5, 8, 13, 21, 34, 55… how are you going to fill in the blank? 56, 89, 96? If you can solve the problem without looking it up on Google, or asking your sweet little bro who is still in school to find out the answer, then it means you probably have some potential to become an analyst in trading. The sequence was first noticed by Leonardo Pisano, who went wit the nickname Fibonacci. The man was born in Pisa, a city in Italy in 1170, and was a famous mathematician. Fibonacci father worked in a trading port Bugia in Algeria. 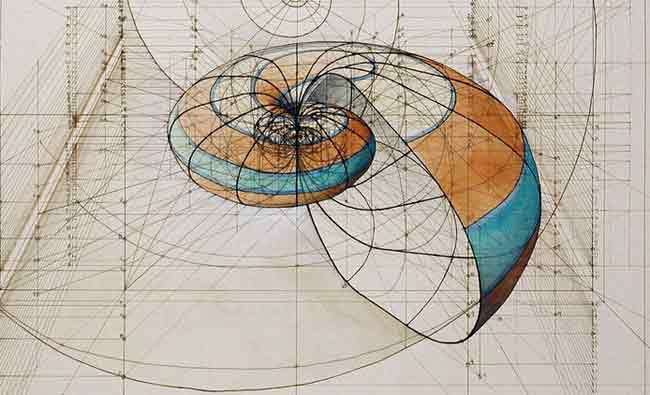 Fibonacci was schooled in the city where he studied mathematics. The man, who had had a lot of travels in his time, realized how important the Hindu-Arabic numeric was. As a result, when he when back to his home country, he wrote a book which documented what he learned about the numerals. This was how Hindu-Arabic numerals got popular in Europe since the book Liber Abaci. Fibonacci trading is one basic from the many forex trading systems used by professional forex brokers all around the world. Every year, million dollars are being wagered based on this trading system. Fibonacci’s sequence basic rule is that every number, after 0 and 1, is the sum of the two numbers before it. For instance, 1,1, 2 is the result of 1 + 1 = 2, and then 3, 5, which should be followed by 8. However for trading, the most important thing not what comes after what, but what the ratio is based on the sequence of number. Each number is 1,618 greater than the prior number. It is what we call Phi or the Golden Ratio. The inverse is 0, 618. The ratio is a mathematical proportion which is commonly found in many structures and landscapes of nature, and also in many results of humans’ creations. It happens somehow mysteriously. We can find it in human faces, in the spiral of the galaxies, in the mollusk shells and rose petals, and in architecture and art such as the Mona Lisa and the Parthenon. In trading, the mathematical relationships between the numbers in the Fibonacci sequence are very important. It is the 0, 618 or the value when we divide any number in the sequence with the number which follows it. Take 89/144 for example. The result is 0, 6180. There is also another ratio that we use in trading. For instance 38, 2 % is the number that comes out when we divide any number in the sequence by the number after the number in its right, such as when we divide 89 by 233. A ratio of 23, 6 % is also known. So how do we use the Fibonacci ratio in trading? We do it by observing the trend of a chart. Fibonacci trading will be very prominent in analyzing the high and low of a chart. Horizontally, we mark them with the ratios of Fibonacci, 23.6%, 38.2%, 61.8% with the result of a glitch. These will create an analysis to identify the reversal points of price. This is because, in a forex graph, the price seems to change in an oscillation. Fibonacci ratio can be used as an indicator for resistance and support level. The result can be amazing, even though it is not accurate to the last cents. Yet, it is very close that sometimes can be difficult to believe. The Fibonacci point prices can be calculated in the front so traders will know what he or she should do in the market based on the daily chart. Many people say that trading using Fibonacci levels is very difficult and complicated, yet it is actually not always like that. For people who have had some understanding in the aspect of trading, using Fibonacci retracement level will be really helpful in improving the accuracy of entry and exit level for each trading. The result will even be better when we use it with other secondary indicators such as trend lines, moving averages, candlestick patterns, momentum oscillators, and many others.